Direct mail marketing has distinctive benefits. It stands out for its high response rate and as a preferred way for people to receive advertisements to help them make purchase decisions. While email marketing can be inexpensive, people pay attention to a physical piece of mail in their mailbox at a higher level than an email, if the email even makes it past the spam filter. So, while you may already be doing things like email marketing, radio advertising, and billboard advertising, adding a direct mail component to your campaign may be what takes your campaign over the top. When done right, it has its own special place in the hearts of people who want to spend money. How is Direct Mail Marketing “done right”? There are three main areas of best practices for Direct Mail Marketing to consider: The List, The Piece, and the Call-to-Action. The List. The list is critical. There's the shotgun approach and the rifle approach. For businesses with a specific geographic market, the shotgun approach can be great. For example, if you have a pizza restaurant and you know your best customers are in the neighborhoods surrounding your pizza restaurant, you can “shotgun” mail to the surrounding neighborhoods. So the list is relatively easy to create for a location-based business where their primary customers are going to be within a specific area. On the other side of that, the “rifle” approach can be better for businesses that have a very specific type of target, whether it's by age or gender or income or education level or whether there are children present or whether they have certain hobbies. These demographics can be broken down into any number of combinations and any ranges of combinations so that we can target, rifle in, to finding the best possible list to purchase. So, the list is critical. It’s worth getting expert consultation because the wrong list can waste money in postage and printing. The physical mailing piece. List, budget, and the amount of information that you want to put on the piece are factors that influence this decision. The size of the piece can affect the amount of postage substantially, but it might not. Postage itself for presorted standard postage, which is now called marketing mail postage, is the same price up to a certain size. You'll pay the same, could be 22 to 25 to 28 cents per piece on a "bulk" postage price from a 4 x 6 postcard up to a 6 x 11 postcard, but if you want to go past that and go to something 8-1/2 x 11, a full letter-sized sheet, then your postage is going to wind up going up. Also, you don't want to overcrowd a mail piece, which would hurt readability: make the piece big enough for the amount of information that you want to put on there. Call to action is a key as well. You can send somebody an incredibly informative piece that says what you do and what you sell, but if you don't tell them what you want them to do with a sense of urgency, you will not as effectively prompt a decision. An example would be “act now - limited time offer”. 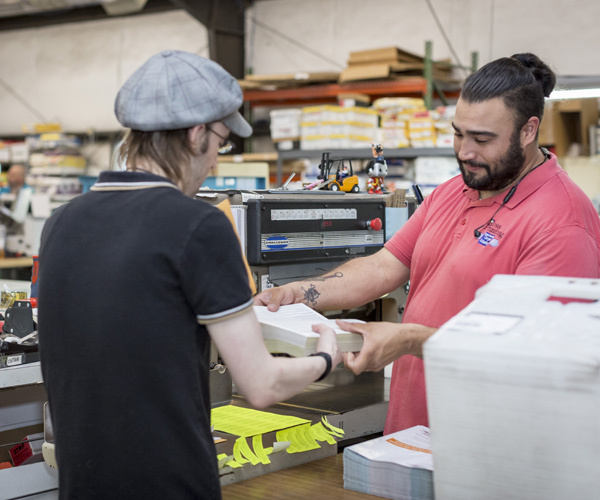 Call us at 843.745.0001 or click here to use our webform to contact Ross Printing for help with your direct mail strategy.